Information Super Highway is so last decade. the next generation, our kids will need much more sophisticated thinking and tools to create a better tomorrow. At tinkersol academy, it is our goal. so kids have a much higher potential to think and innovate! At tinkersol academy, we believe that access to higher learning and advanced subjects at a younger age, will increase ones ability to excel, think and innovate at a much higher pace. We are a technology education company focused in creating and teaching advanced curriculum (STEM based) that will empower students to create and innovate at a much higher pace.
" We must do all that we can, to give our children the best in education and social upbringing - for while they are the youth of today, they shall be the leaders of tomorrow. " Our summer camps for 2017 is themed around Drones and Programming Skills. We have designed a unique STEM based curriculum with software,that uses project based learning model, and teaches kids coding skills and apply the coding skill to programming drones. This is a super exciting program and we're thrilled about the fun atmosphere it will create for campers while teaching the next generation technology and it's use cases. In Q1 of 2017, Federal Aviation Administration(FAA) predicted that hobbyist Unmanned Aircraft Systems (UAS), a.k.a. drones, will reach as high as 4.5 million by 2021 (four years from now). 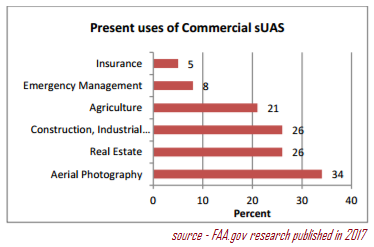 In addition the FAA projects that the number of small commercial drones will exceed 420,000 by 2021, compared to 42,000 in December 2016. Learn more about our Drone Programming Camp - Summer 2017! Our curriculum is being designed as a tool kit to benefit schools from utilizing our unique methodology and concept. We're looking to partner with school districts and other education providers to bring our curriculum to a wider audience. If you are interested in learning more or would like us to reach you in this regard, please contact us via the contact form at the bottom of this page or send us an email to info@tinkersol.com. Wright Brothers, in 1903, were the first ever humans to fly; In just 66 years from then, in 1969, we made it to moon! We're on the fastest pace of growth and human accomplishments. At tinkersol academy, we believe in accelerating innovation mindset in kids by introducing and teaching them advanced skills at younger age. We are excited about the potential of advancing innovation mindset in kids. Let us know how we can work together to make it happen!